Is it possible to copy the data logger setup information from an iPad to an iPhone, or vice versa? LoggerLink stores data logger setup information in a file named logger_settings.sqlite. This file can be accessed through iTunes and File Sharing, and it can be saved to a computer and then copied onto any number of iOS devices. Is it possible to connect to a data logger using a smartphone that has LoggerLink? Yes. LoggerLink is designed to communicate with data loggers using IP connections. 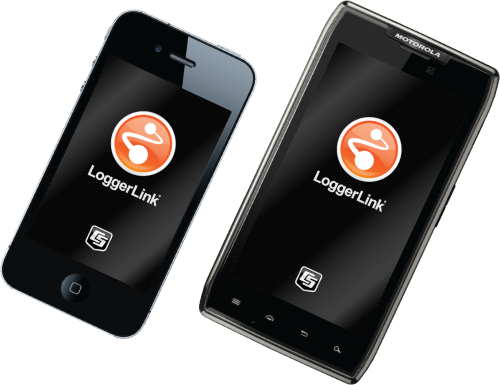 Typically, if a data logger can be reached by a smartphone, LoggerLink should be able to communicate with it. 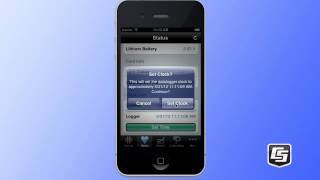 Can a data logger be configured to send an alarm to an iPhone or Android device that has LoggerLink? LoggerLink supports all TCP connections with Campbell Scientific data loggers. However, some network types are not supported by all devices. For example, ad-hoc networks are supported on iOS devices, but they are not supported on Android devices. Can data be collected from a data logger using a USB cable with LoggerLink on an Android or iOS device? No. LoggerLink doesn’t require a static IP address, but the current IP address is needed for communication with the data logger. This may require changing the data logger setup frequently in LoggerLink. 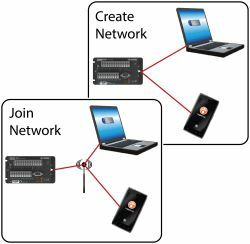 On some networks, the LoggerLink UDP discovery setup option may make data loggers with dynamic addresses easier to find. With static IP addresses or domain names, it should not be necessary to change the data logger setup in LoggerLink.